You probably have a pretty good idea of the things you definitely will want to see or do in Vienna. So I am not going to go into detail about Schönbrunn Palace, St. Stephen's Cathedral or the Vienna Opera. These pages are recommendations from your hosts that are a little more hidden, maybe less crowded and often superior to their well known cousins. 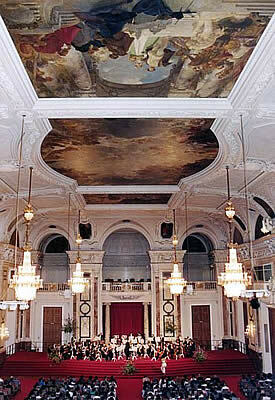 Like the Hofburg Orchestra (picture on the right), which performs in the Imperial Palace, or Learn German!